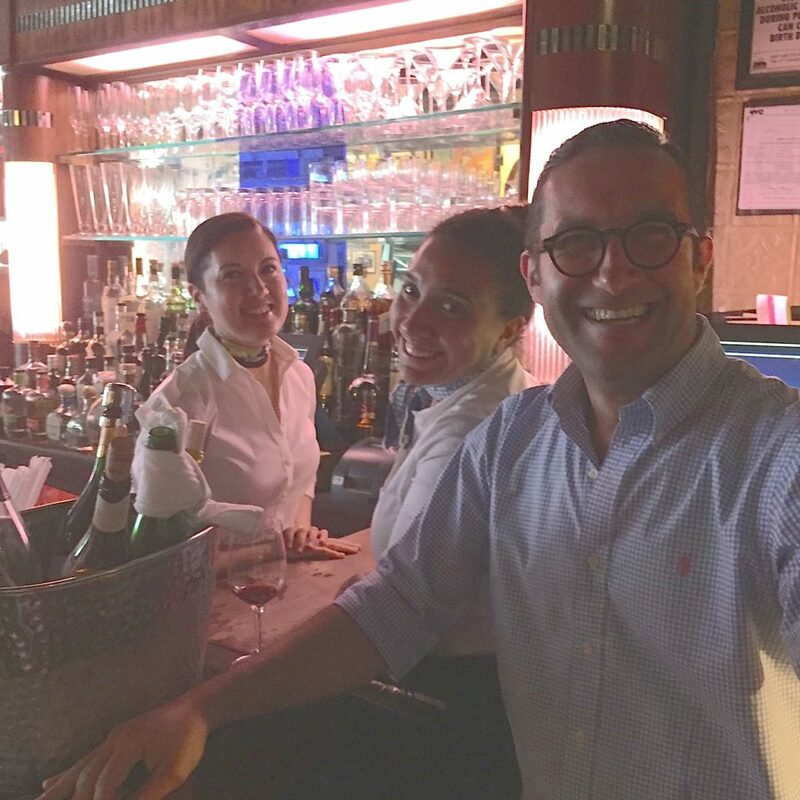 Recently enjoyed brunch at Raoul’s in SoHo. an establishment that has been making magic for 40 years. I indulged once before with Debbie Harry of Blondie, but had not been back in decades. 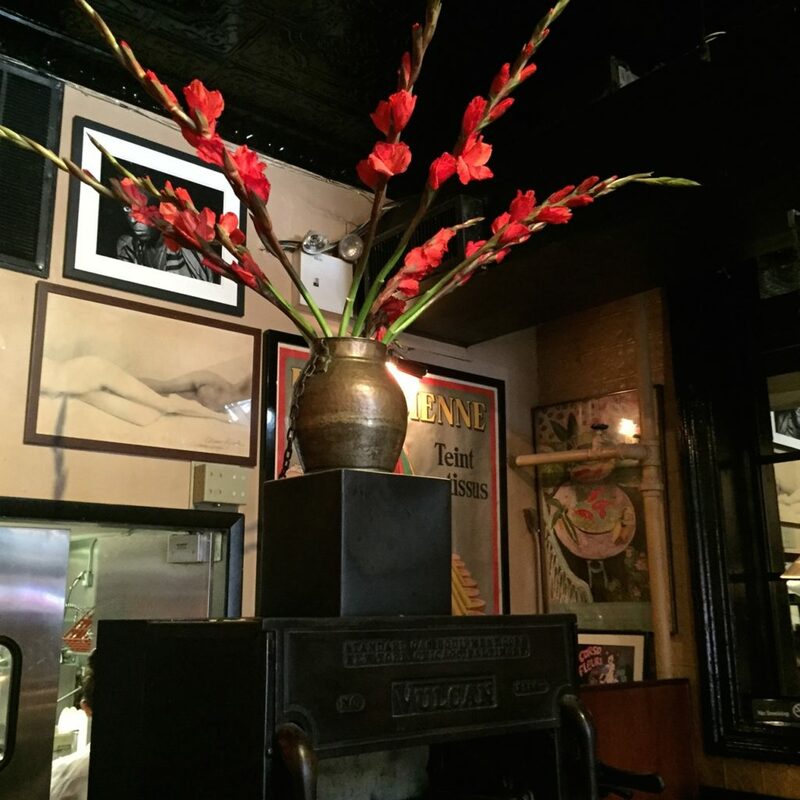 Raoul’s has aged well and the food is better than ever. The minute you step inside you are embraced by tradition and made to feel at home. Jem, the dynamic manager, really knows how to work a room. Brunch began 10 months ago and is a huge success. One of the highlights is the amazing hamburger that is on the brunch menu. Only 24 scrumptious burgers are served each Sunday. 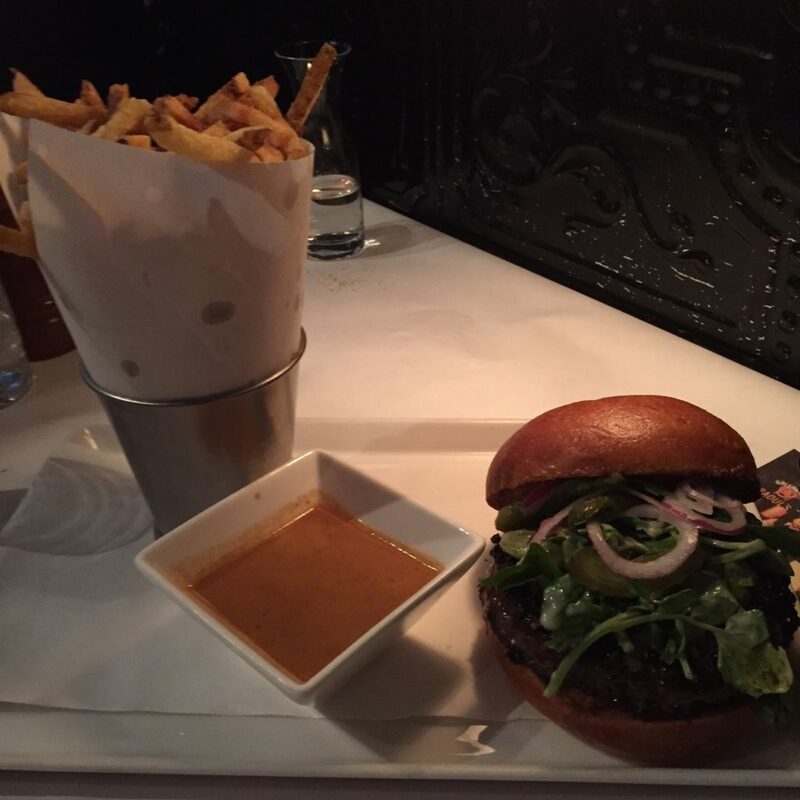 The dinner menu does not list the burger and is exclusively served at the nine-seater bar. In fact, executive chef, David Honeysett, only prepares 12 for consumption nightly. The burger is made with brisket and the meat is seared in butter in the pan. It even comes with a side of the authentic cream and cognac trademark au poivre dipping sauce. The same peppery goodness that is served with their traditional steak. 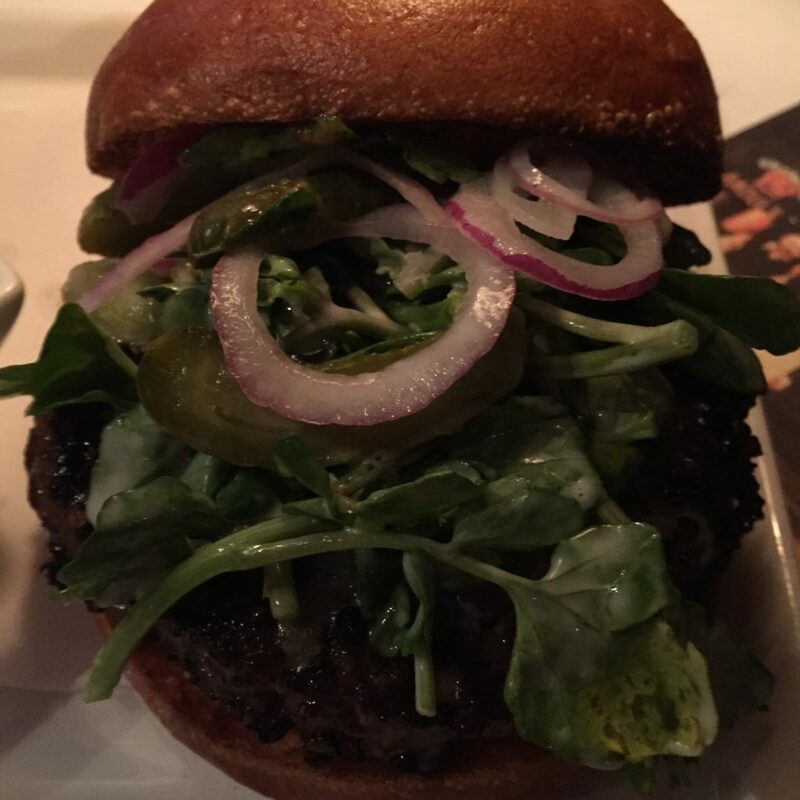 The bun is from Amy’s Bread and the burger is topped with watercress, cornichon and onion. 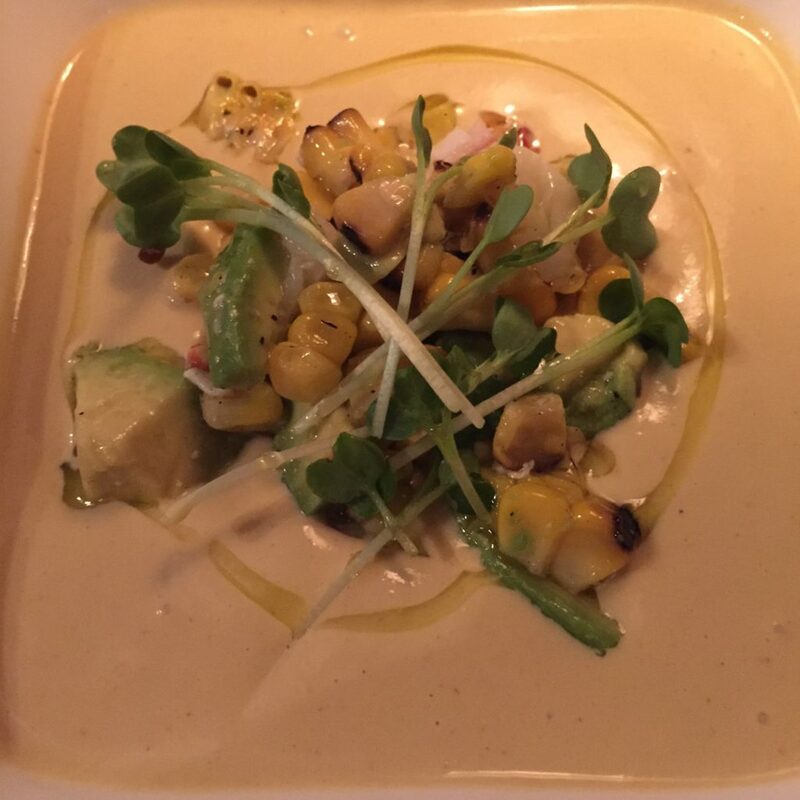 David and I started with the fabulous cold corn and lobster soup…creamy, tasty and the avocado was an ideal compliment. 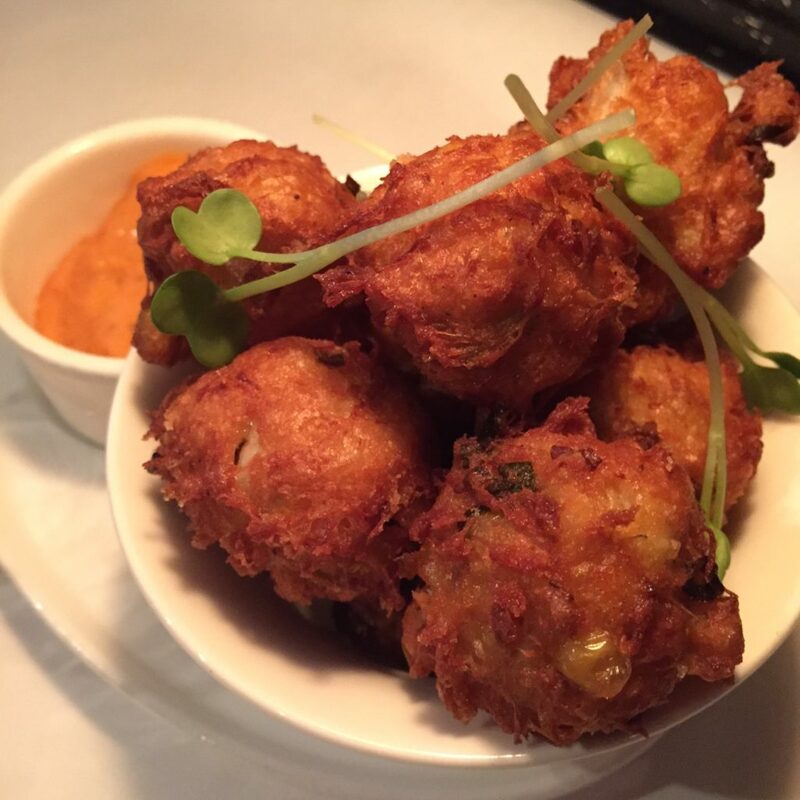 David ordered the crabmeat beignets which were crispy, tender and flavorful. 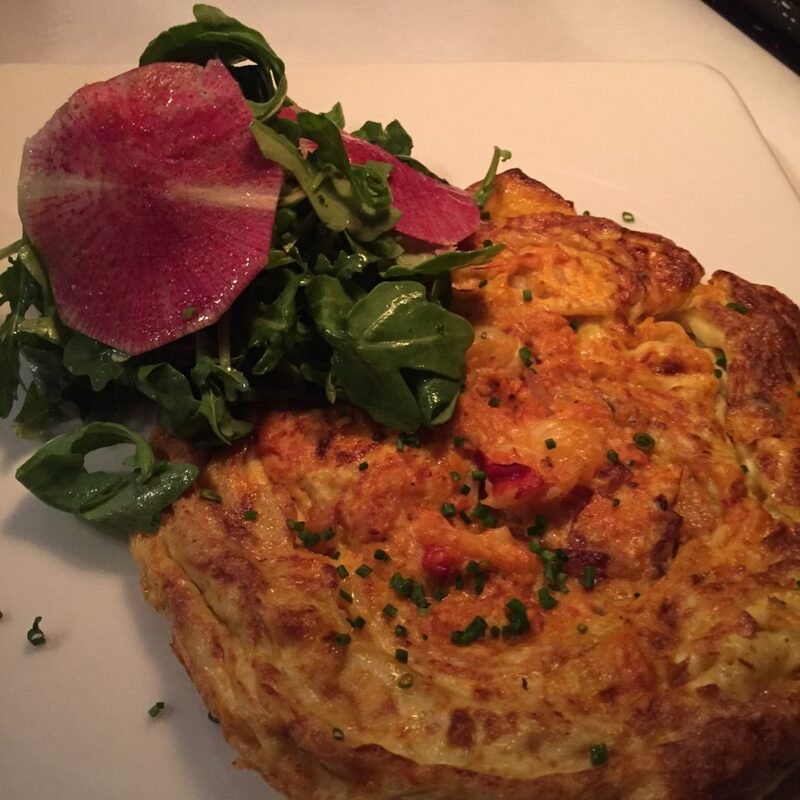 The lobster frittata with fresh ginger was tantalizing. Being total francophiles, we rounded out the meal with top shelf Pastis. I loved the way it was served with a silver serving piece and 2 sugar cubes on top. 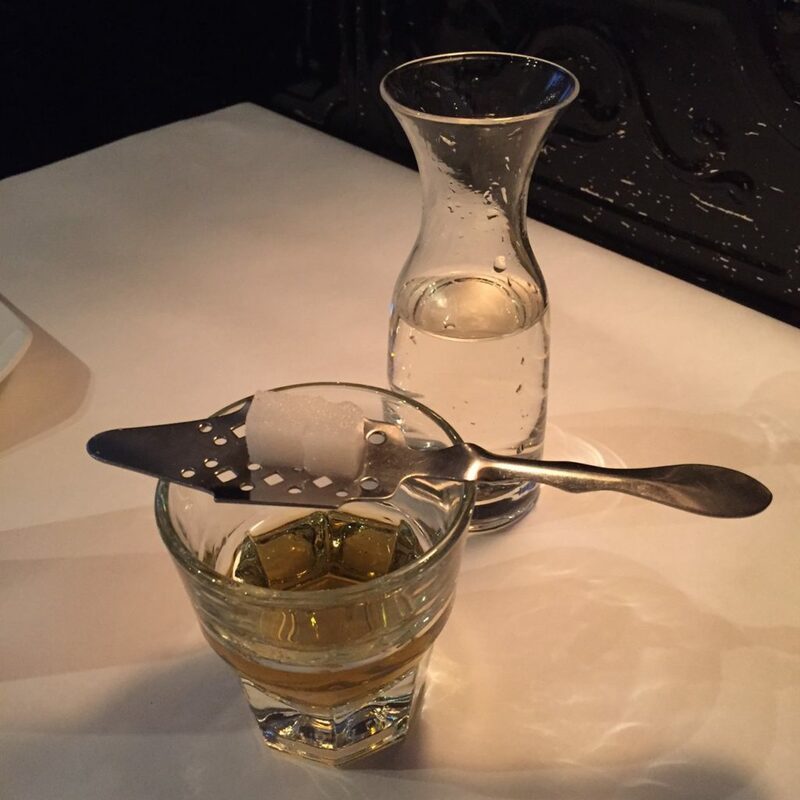 The water was poured over the sugar and mixed with the Pastis…perfection. 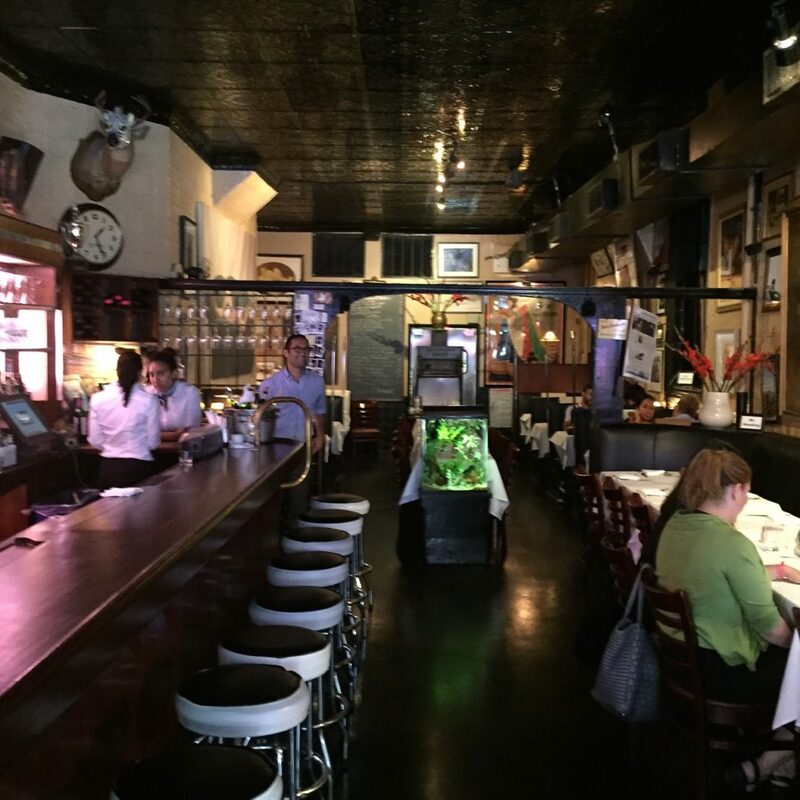 Opened in 1975 by Serge Raoul, who was a sound man for France 2, and his brother Guy, who was a chef, Raoul’s is a genuine family operation. It is a place you can eat well and comfortably hang your hat. 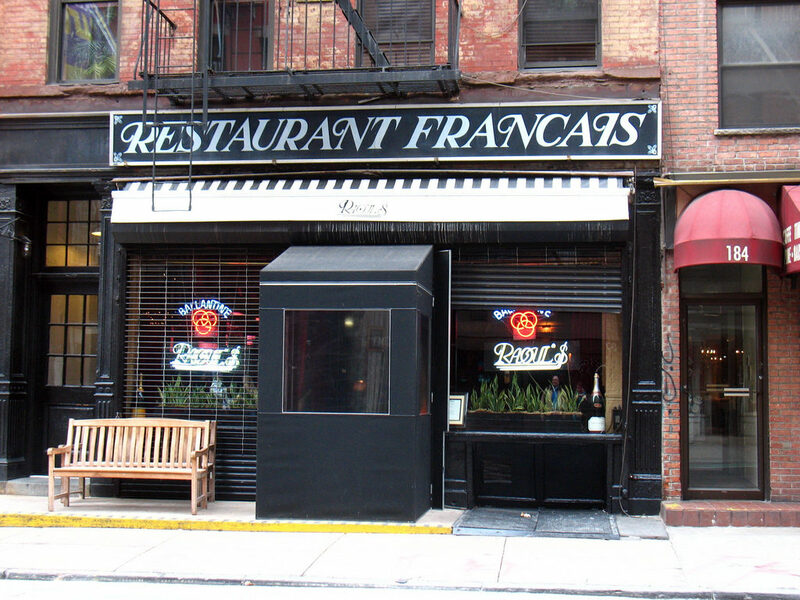 Raoul’s 180 Prince Street SoHo, New York City. Open Monday-Thursday and Sunday 5pm-12am, Friday and Saturday 5pm-1am, Brunch Saturday and Sunday 11am-3pm. Reservations on OpenTable.com.